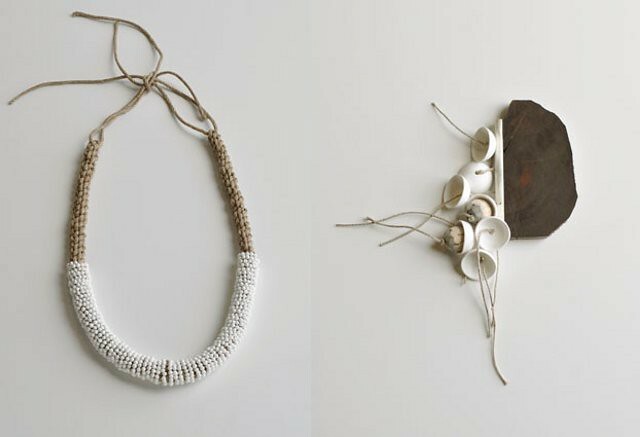 i recently stumbled upon this gorgeous collection of porcelain-based jewellery from Chequita Nahar (pinned by Kate Miss via the best time of the day) and was immediately delighted by the discovery of more wearable porcelain that bridges the divide between art, craft, & fashion. 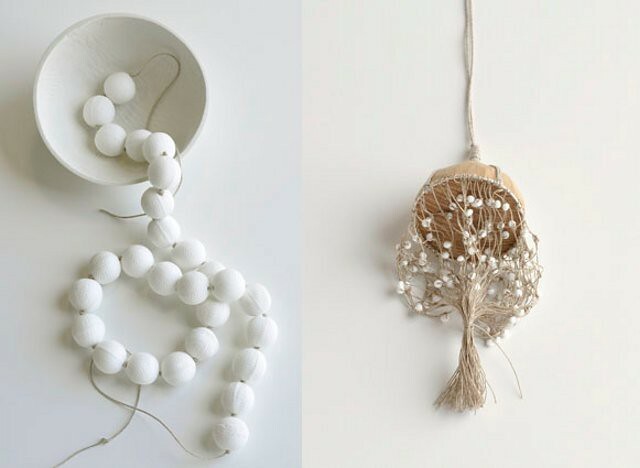 i love the subtle combination of delicate white porcelain with natural materials and textures, especially the oak and pine... it feels so down-to-earth and raw, but is also wonderfully pretty. these are lovely. 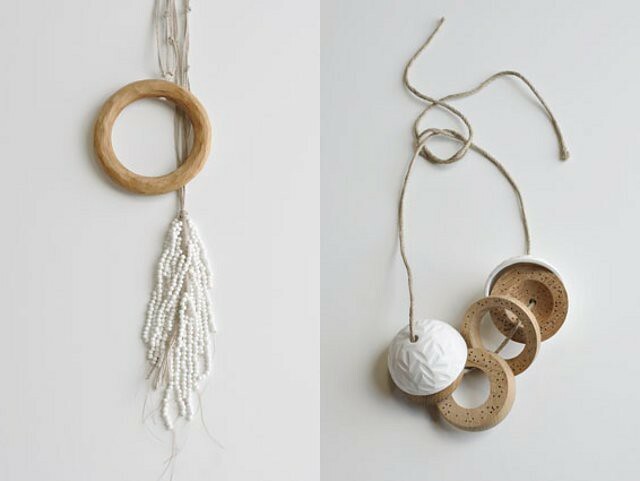 love porcelain jewelry.